MANY aspiring homeowners believe their chance of owning their own slice or property is becoming further out of reach because they simply can’t afford it. Despite interest rates remaining at record-low levels, new Galaxy research commissioned by debt solutions company Fox Symes shows many Aussies are disheartened about being able to make the great Australian dream come true. House prices across the country have continued to soar – CoreLogic figures show dwelling values have risen by 7 per cent across all capital cities in the 12 months until August. The research found one in three respondents say owning their own home is out of reach and for younger property hopefuls (18 to 34) two in three feel disheartened about ever being able to have a home in their own name. Fox Symes director Deborah Southon says the findings highlight the reality aspiring homeowners face and their battle to get their foot on the property ladder. “No wonder young people are fretting, many have been priced out of the market,’’ she says. “It is a struggle to come up with a deposit for a home when you have to pay high rental costs, particularly in major cities. The data shows those earning less than $100,000 a year face the biggest challenge – two in five felt they had no option other than to keep renting. But 1300homeloan’s director John Kolenda says hopeful buyers shouldn’t give up as there are other ways to crack into the market without having to go it alone. 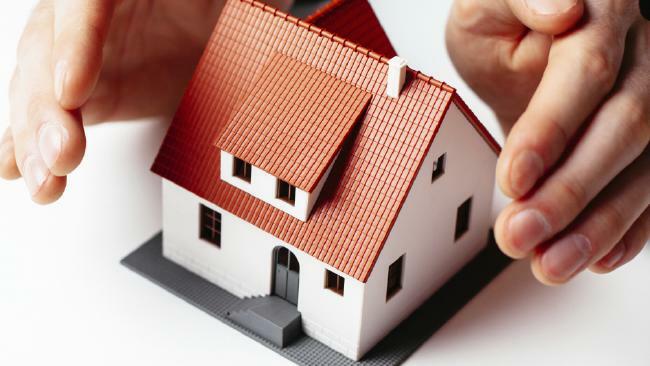 “We are seeing parents helping with assistance with a deposit or going guarantors on a property for their children by providing their home as equity for a loan,’’ he says. He suggests borrowers have at least a 10 per cent deposit, but ultimately a 20 per cent deposit is ideal to avoid being stung with lender’s mortgage insurance.